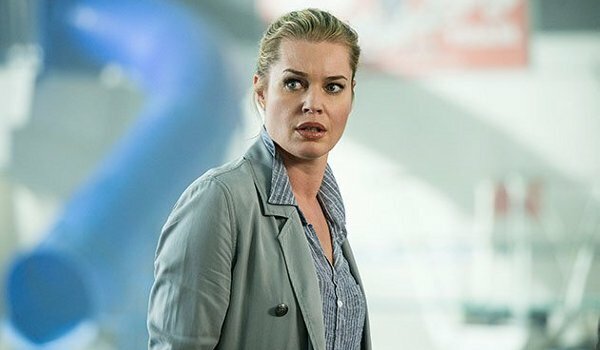 For the show that has already dealt with destiny and time-travel, it's good to see The Librarians tackle an idea like a self-fulfilling prophecy. It's also interesting to see the Librarians protecting Eve this time around, who also has one other supporter who isn't revealed until the final scene. Eve's actions to avoid the death she witnesses in the cube, as Jenkins (John Larroquette) warned, directly lead to those events unfolding. Although I'd expect the group to discover the odd man out in the group sooner, the reveal does allow the Guardian to think of a way to out-wit fate and force the Oracle of Delphi to face her own demise. I'm also a bit unsure about the reveal suggesting just how uber-important Eve is to history (can't she be just a really good Guardian? ), destined to play a large role in the Library's future.